LifeCare is a 501(c)(3) non-profit outreach ministry that has been serving the greater Brandon community since 1987 and the South Shore area since 2012. In 2012, LifeCare expanded and it is now known as LifeC are Network. They operate two medical facilities, both called Choices Women’s Center, located in Brandon and Ruskin. The centers were created to draw abortion-minded women into their facility in order to educate them on abortion, adoption, and parenting. When women come to the center they receive a free pregnancy test (if needed), a life-affirming ultrasound, and counseling. In order to meet the mission, the ministry provides compassionate care, education, counseling, practical support, and community networking while also supporting anyone who is facing the challenge of an unplanned pregnancy. Their post-abortion recovery class uses Pat Layton’s 8 – week Bible Study, Surrendering the Secret: Healing the Heartbreak of Abortion, as a guide to begin the healing journey. 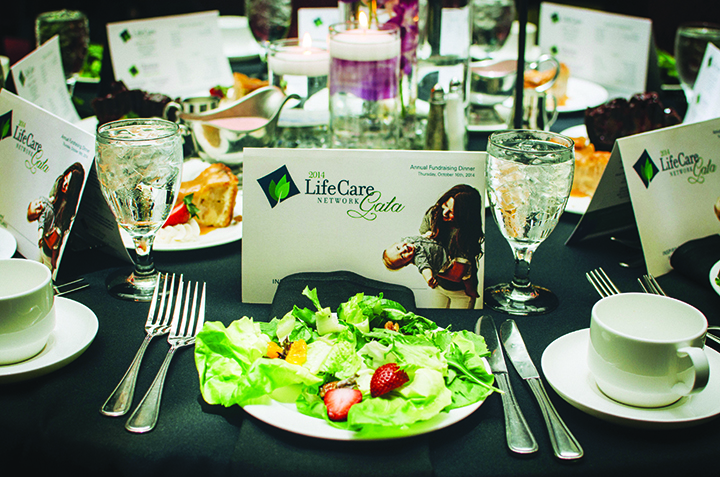 LifeCare Network’s largest fundraiser is its annual gala, which will take place on Thursday, October 29 at Hilton Tampa Downtown at 211 N. Tampa St. in Tampa from 6:30-9 p.m.
“There is no cost to attend the event. There will be an appeal at the end of the evening where guests will be asked to give a financial gift, whatever the Lord leads them,” said Jessica Rickenbach, development director. Rickenbach hopes that people would prayerfully consider hosting a table for the event. The semi-formal evening will include dinner. “We will have a live jazz band this year, which is new. We will have client testimonies, a client testimony video, and live testimonies. We will have a speaker, Dr. Marc Newman, as the keynote speaker. He is the president of Speaker for Life. He equips pro-life speakers with public speaking skills. He has the goal of ending abortion in our lifetime,” Rickenbach said. Reservations to attend the event or to host a table can be made online at lifecarenetwork.net or by calling 654-0491. For further questions, email jessica@lifecarenetwork.net.